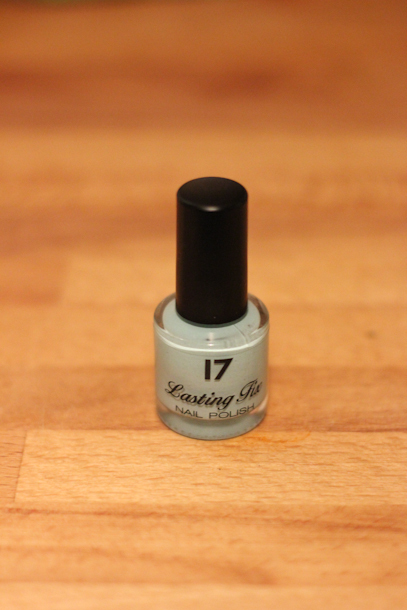 I love all the pastel trends at the moment, especially all the new nail polish shades, so when I came across this Mint Choc Chip colour I had to get it, it's fun yet mellow and it's part of No.17 Lasting fix range - a range that is meant to last up to five days and chip free colour. I am always chipping my nail polish as most of my work is heavy on the hands, with a toddler to look after on top of that, so I am always up for trying very reasonably priced nail varnish in the hope it may last more than two days.....so we will see. I was very happy with the colour, my only negative so far is it's quite slow drying time and I am terrible for fidgeting so I usually use speedy 60 seconds nails, but hopefully this will be worth it.